1-Thomas Royal. Thomas married Ann. They had a daughter: Mary Ann. 2-Mary Ann Royal was born on 18 Feb 1817 in Lambeth, Surrey, England and died in 1884 in Deloraine, Tasmania at age 67. Mary married Alfred Carling on 25 Jan 1834 in Middlesex, England. Alfred was born in 1815 in Chelsea, England and died on 19 May 1888 in Hobart, Tasmania at age 73. They had four children: Mary Ann, Eliza Ann, Joseph Alfred and Jane. 3-Mary Ann Carling was born in 1834 in London, England and died on 7 Feb 1837 in Launceston, Tasmania at age 3. 3-Eliza Ann Carling was born on 18 Jan 1837 in Launceston, Tasmania, was christened in Launceston, Tasmania, and died on 30 Apr 1904 in North Motton at age 67. Eliza married John Marshall on 9 May 1853 in St Marks Deloraine. John was born in 1821 in Oldham, Lancashire, England and died on 24 Oct 1912 in Upper Castra, Tasmania at age 91. They had 12 children: Caroline Lillias, Thomas John, Mary Ann Jane, Joseph Albert James, Benjamin William, Edward Edwin Frederick, Eliza Alice, James Reuben, Emily Ada, Arthur Charles, Walter Carling and Gertrude Harriett. 4-Caroline Lillias Marshall was born on 6 Jan 1854 in Deloraine, Tasmania and died on 11 Sep 1891 in Ulverstone, Tasmania at age 37. Caroline married Charles Alexander Willey, son of Joseph Willey and Ann House, in 1879 in Victoria. Charles was born on 25 Sep 1850 in Melbourne, Victoria and died on 5 Jun 1930 in Warragul, Victoria at age 79. They had four children: Alfred, Ann, Edith Alice and Charles Alexander. 5-Alfred Willey was born 9 Juk 1882 in Port Sorell, Tasmania and died on 3 Dec 1905 in Ulverstone, Tasmania at age 23. 5-Ann Willey was born on 22 Oct 1884 in Ulverstone, Tasmania. 5-Edith Alice Willey was born on 7 Jan 1887 in Ulverstone, Tasmania and died in Oct 1957 in Melbourne, Victoria at age 70. Edith married William Joseph Vernon in 1904 in Tasmania. 5-Charles Alexander Willey was born on 18 Jan 1889 in Ulverstone, Tasmania and died in 1965 in Footscray, Victoria at age 76. 5-Peter John Marshall was born on 3 Jan 1881 in Ulverstone, Tasmania and died on 29 Mar 1966 in Ulverstone, Tasmania at age 85. Peter married Sarah Johnson on 4 Nov 1908 in Ulverstone, Tasmania. Sarah was born on 11 Dec 1890 in Mersey, Devonport and died on 19 Oct 1969 in Ulverstone, Tasmania at age 78. They had one son: Clarence. 6-Clarence Marshall was born on 19 Nov 1919. Clarence married Kathleen Reid, daughter of Jack Reid and Doris Smith. Kathleen was born on 9 Jun 1930. They had six children: Pixie, Avalon, Gaylene, Peter, Adrian and Katrina. 7-Pixie Marshall was born on 11 Feb 1948. Pixie married Trevor Cox. Trevor was born on 8 Mar 1945. They had two children: Damien and Justin. 8-Damien Cox was born on 12 Aug 1970. 8-Justin Cox was born on 27 Nov 1972. 7-Avalon Marshall was born on 1 May 1950. Avalon married someone. He had one daughter: Sharon. 8- Sharon was born on 17 Apr 1970. 7-Gaylene Marshall was born on 25 May 1952. Gaylene married Don Wells. Don was born on 26 May 1951. 7-Peter Marshall was born on 24 Aug 1958. Peter married Patsy Fullager. Patsy was born on 19 Nov 1961. They had three children: Emma Jane, Sarah Louise and Peter James. 8-Emma Jane Marshall was born on 21 Apr 1984. 8-Sarah Louise Marshall was born on 23 Aug 1986. 8-Peter James Marshall was born on 15 Feb 1988. 7-Adrian Marshall was born on 24 Aug 1958. Adrian married Elizabeth Geraldine Van Zelm. Elizabeth was born on 22 Nov 1967. 7-Katrina Marshall was born on 8 Apr 1972. 4-Mary Ann Jane Marshall was born on 18 Mar 1858 in Deloraine, Tasmania. Mary married Frederick James Pearson Peach on 30 Mar 1880 in Hobart, Tasmania. Frederick was born on 4 Mar 1857. 4-Joseph Albert James Marshall was born on 7 Aug 1862 in Deloraine, Tasmania. Joseph married Mary Jane McCulloch on 1 Dec 1885 in Ulverstone, Tasmania. Mary was born about 1864 and died on 9 Jun 1886 in Ulverstone, Tasmania aged about 22. 4-Benjamin William Marshall was born on 13 Apr 1864 in Deloraine, Tasmania and died on 1 Jun 1946 in Ulverstone, Tasmania at age 82. Benjamin married Elizabeth Ann Eastley, daughter of John Eastley and Elizabeth Willey, on 7 Oct 1896 in Sprent, Tasmania. Elizabeth was born on 29 Sep 1879 in Deloraine, Tasmania and died on 16 Aug 1964 in Wynyard, Tasmania at age 84. 4-Edward Edwin Frederick Marshall was born on 20 Jan 1866 in Deloraine, Tasmania and died on 13 Sep 1914 in Ulverstone, Tasmania at age 48. Edward married Ada Jane Eastley, daughter of John Eastley and Elizabeth Willey, on 30 Oct 1889 in Ulverstone, Tasmania. Ada was born on 14 Feb 1869 in Deloraine, Tasmania and died on 12 Oct 1955 in Launceston, Tasmania at age 86. 4-Eliza Alice Marshall was born on 9 Jan 1869 in Deloraine, Tasmania. Eliza married James Redman on 5 Dec 1888 in Ulverstone, Tasmania. James was born on 12 Aug 1861 in Westbury, Tasmania. 4-James Reuben Marshall was born on 10 Nov 1870 in Deloraine, Tasmania, died on 8 Sep 1949 in Devonport, Tasmania at age 78, and was buried in Old Devonport Cemetery. James married Janet McHugh, daughter of John McHugh and Janet McLean, on 10 Dec 1896 in North Motton. Janet was born on 4 Feb 1866 in Port Sorell, died on 9 Dec 1924 in Devonport, Tasmania at age 58, and was buried in Old Devonport Cemetery. Another name for Janet was Jessie. They had six children: John Edward, James Reuben, Bernard Robert, Jessie Irene, Linden Mervyn and Clara Grace. Their story is told here. 4-Emily Ada Marshall was born on 12 Feb 1873 in Deloraine, Tasmania and died in 1953 in Ulverstone, Tasmania at age 80. Emily married Enoch Davies on 14 Sep 1892 in Ulverstone, Tasmania. Enoch was born in 1862 and died on 18 Jun 1950 in Ulverstone, Tasmania at age 88. 4-Arthur Charles Marshall was born on 10 May 1875 in Deloraine, Tasmania and died in 1965 in Ulverstone, Tasmania at age 90. Arthur married Jane Walters on 8 Feb 1905 in Latrobe, Tasmania. Jane was born about 1882 and died on 21 May 1967 in Ulverstone, Tasmania aged about 85. 4-Walter Carling Marshall was born on 9 Aug 1877 in Ulverstone, Tasmania and died in 1954 in Ulverstone, Tasmania at age 77. 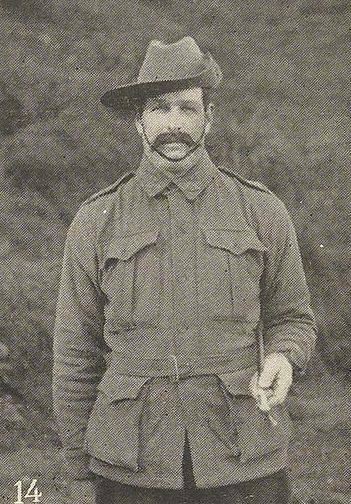 He served in the First World War with the 40th Battalion and returned to Australia 12th May 1919. Walter married Rosanna McCulloch, daughter of Hugh and Elizabeth Jane nee Risbey on 26 Nov 1919 in Ulverstone, Tasmania. Rosanna was born on 8 Jun 1870 in Port Sorell, Tasmania. 4-Gertrude Harriett Marshall was born on 25 Oct 1879. Gertrude married Robert McCulloch on 19 Jun 1901 in St John's Church, North Motton, Tasmania. 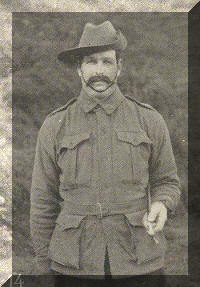 Robert was born on 2 Aug 1871 and died on 29 Dec 1914 in North Motton, Tasmania at age 43. 3-Joseph Alfred Carling was born on 9 Feb 1839 in Launceston, Tasmania, was christened on 9 Feb 1839 in Launceston, Tasmania, and died in 1889 in Ulverstone, Tasmania at age 50. Joseph married Corinna Jenkins on 13 May 1861 in Launceston, Tasmania. Corinna was born on 22 Jun 1843 in Mt. Direction and died on 14 Dec 1900 in Launceston, Tasmania at age 57. 3-Jane Carling was born on 1 May 1841 in Launceston, Tasmania.